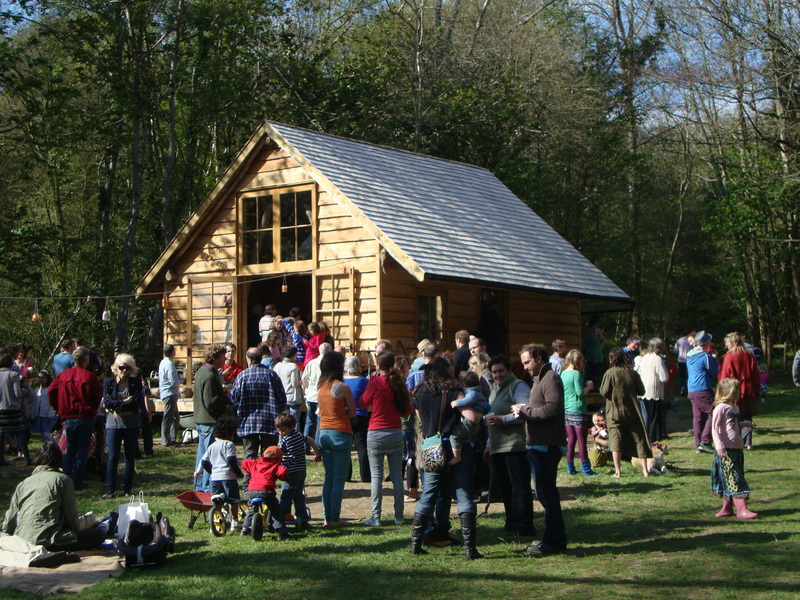 We celebrated the official opening of the woodland shelter (and Emily’s unmentionable birthday) with a party for friends, family and volunteers who had helped with the project. 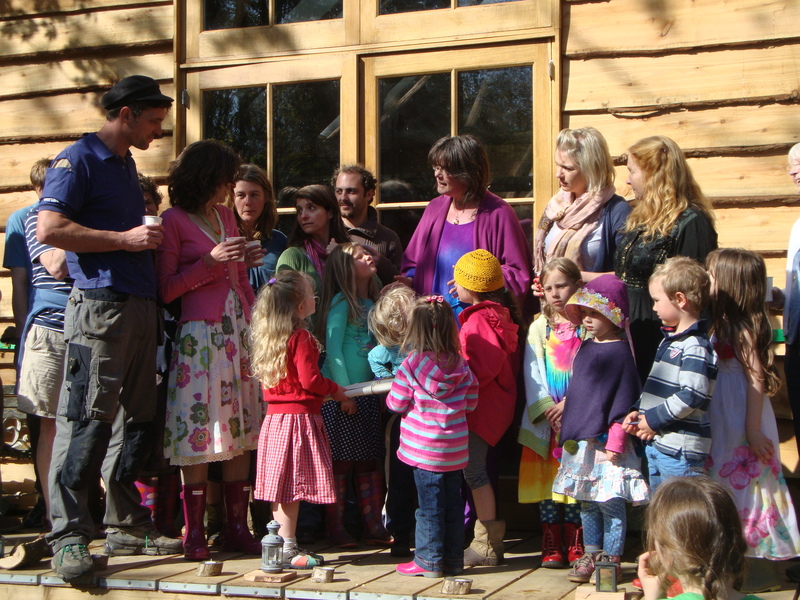 Emily made a speech about the ‘building of the building’ and then local musicians led a barn-dance. And we ate huge quantities of cake and paella. It was a very happy end to a happy project. Now it’s over to Kirsteen, her team and the children at the kindergarten to enjoy the building. This entry was posted in Education, Uncategorized, With children, Woodland shelter on May 5, 2013 by buildingforfamilies.